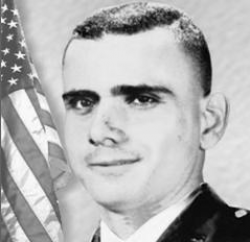 Captain Euripides Rubio (1 March 1938 - 8 November 1966) was a U.S. Army officer and one of five Puerto Ricans who were posthumously awarded the U.S. military's highest award for valor, the Medal of Honor, for actions during the Vietnam War. Euripides Rubio was born on 1 March 1938 in Ponce, Puerto Rico. He entered the service at Fort Buchanan, Puerto Rico. On 8 November 1966 at Tay Ninh Province in the Republic of Vietnam, Captain Rubio's company came under attack from the North Vietnamese Army. During the attack, Captain Rubio's heroic actions turned the tide of the battle, and for his extraordinary leadership and valor, he was posthumously awarded the Medal of Honor. 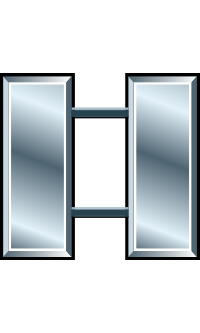 Rank and organization: Captain, U.S. Army, Headquarters and Headquarters Company, 1st Battalion, 28th Infantry,1st Infantry Division, RVN. Place and date: Tay Ninh Province, Republic of Vietnam, 8 November 1966. Entered service at: Fort Buchanan, Puerto Rico. Born: 1 March 1938, Ponce, Puerto Rico. Citation: For conspicuous gallantry and intrepidity in action at the risk of his life above and beyond the call of duty. Capt. Rubio, Infantry, was serving as communications officer, 1st Battalion, when a numerically superior enemy force launched a massive attack against the battalion defense position. Intense enemy machinegun fire raked the area while mortar rounds and rifle grenades exploded within the perimeter. Leaving the relative safety of his post, Capt. Rubio received 2 serious wounds as he braved the withering fire to go to the area of most intense action where he distributed ammunition, re-established positions and rendered aid to the wounded. Disregarding the painful wounds, he unhesitatingly assumed command when a rifle company commander was medically evacuated. Capt. Rubio was wounded a third time as he selflessly exposed himself to the devastating enemy fire to move among his men to encourage them to fight with renewed effort. While aiding the evacuation of wounded personnel, he noted that a smoke grenade which was intended to mark the Viet Cong position for air strikes had fallen dangerously close to the friendly lines. Capt. Rubio ran to reposition the grenade but was immediately struck to his knees by enemy fire. Despite his several wounds, Capt. Rubio scooped up the grenade, ran through the deadly hail of fire to within 20 meters of the enemy position and hurled the already smoking grenade into the midst of the enemy before he fell for the final time. Using the repositioned grenade as a marker, friendly air strikes were directed to destroy the hostile positions. Capt. Rubio's singularly heroic act turned the tide of battle, and his extraordinary leadership and valor were a magnificent inspiration to his men. His remarkable bravery and selfless concern for his men are in keeping with the highest traditions of the military service and reflect great credit on Capt. Rubio and the U.S. Army. The name Euripides Rubio is inscribed on Panel 12E, Row 044. • The U.S. Army named a military installation "Captain Euripedes Rubio" in Puerto Nuevo, a sector of San Juan, Puerto Rico. • Euripides Rubio's name is inscribed in "El Monumento de la Recordacion" (Monument of Remembrance), dedicated to Puerto Rico's fallen soldiers and situated in front of the Capitol Building in San Juan, Puerto Rico. • On 11 November 2008, the Government of Puerto Rico unveiled in the Capitol Rotunda the oil portrait of Captain Euripedes Rubio. Captain Euripides Rubio was killed in action on 8 November 1966. He is buried at Puerto Rico National Cemetery in the City of Bayamón, Puerto Rico.